Since a certain trailer created so much hubbub this week, I thought now would be an idea time to kick off a new feature on this blog called Rankings. And the first films to be ranked will be the Star Wars saga. That's important to state, for a couple of reasons. First, sometimes a series is good enough that even the "worst" films are pretty good. Nolan's Dark Knight movies come to mind. Yeah, the third one has a few problems, but the overall experience (something too often discounted in an age of nit-picking) is still pretty powerful. Second, when it comes to Star Wars, I'm something of a prequel apologist. (Relativity rears its head here.) I recognize the reviled movies have their fair share of problems. Maybe more than their fair share sometimes. That said, I still find more to enjoy than to eviscerate. Again, it's the overall experience that counts. Besides, isn't it more fun to revel in what's good than wallow in what's bad? 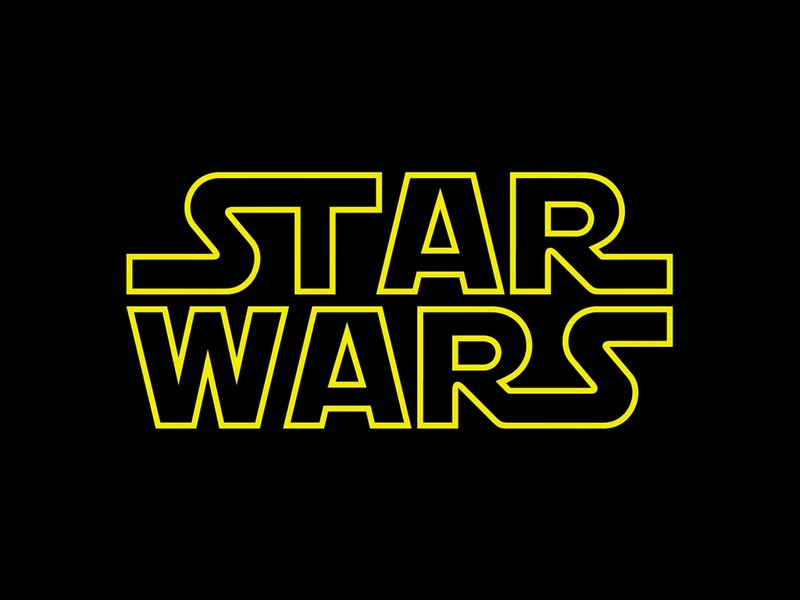 Star Wars: I'm going against the grain here - many people would say Empire, not without justification. But for me, nothing captures the thrill of discovery inherent in that first film. It's especially powerful when you're all of 6. The Empire Strikes Back: Yes, it probably is the best of the films, in that it has the fewest flaws and the least amount of cheesiness. And the big reveal was spoiled when impatient me just HAD to read the comic adaptation first. Still, the whole "That is why you fail" scene is one of the most powerful statements about belief in all of cinema. Return of the Jedi: Great fun, as usual, and yet I can't escape the feeling that a lot of the cast are kind of coasting, as if to say, "Let's get this silliness overwith." 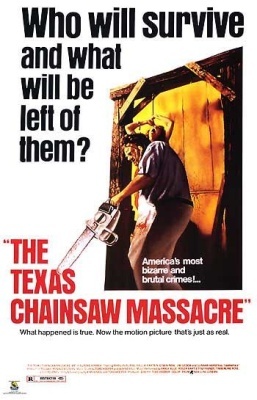 There's a certain laziness to the movie that ends not so much with suspense as it does with certainty. But it gets there in thrilling fashion. The Phantom Menace: Yes, a little of Jar-Jar goes a LONG way. Yes, Jake Lloyd's performance is so wooden that Lucas might as well have cast Pinocchio in the part. (Although this is more on Lucas than Lloyd, who I think tried hard, but needed a better actor's director than Lucas to succeed.) And yet, the Ben Hur-inspired pod race (which got applause the first time I saw it) and the final light saber battle (the best in all six movies) are good enough to make it quite enjoyable. Attack of the Clones: George Lucas can't write romance like trees can't fly. But as was the case with the first movie, snazzy action scenes save it. There's probably no better director than Lucas at cross-cutting between scenes. Apologies for taking so long to post this, but in a way, my timing is appropriate. I just spent the weekend at the Ohio Science Fiction Marathon in Columbus, and that's fitting, because my list has a heavy sci-fi presence this year, with no less than four films having sci-fi elements. It was also quite a year for Chris Evans and Jessica Chastain, who both placed two films in my list. 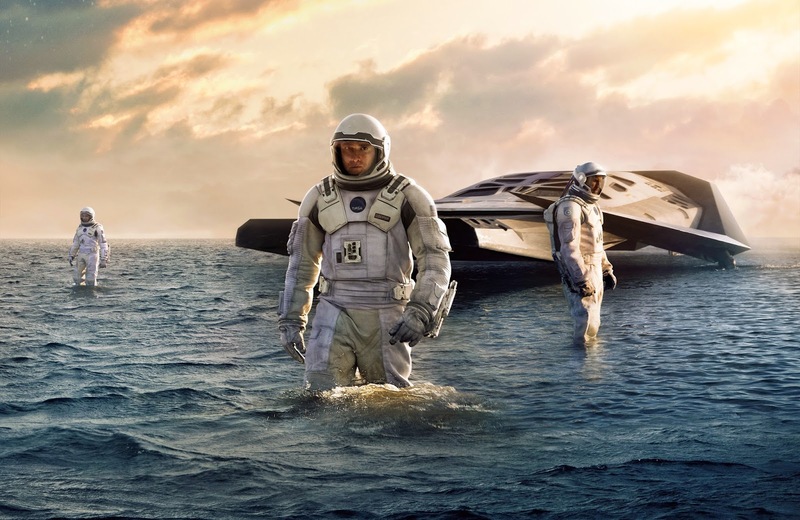 Interstellar: I head far too many "Yes, buts" regarding this knockout of an experience, which, with a little hindsight, will attain the appreciation it wholly deserves. 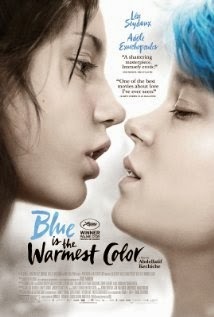 Other films on this list may be more innovative or more daring, but no movie packed the emotional and visual punch this one did. Mr. Nolan is working on a higher plane than most directors. Boyhood: Like another film on this list, it's nothing less than Life Itself. Birdman: It's not just a navel-gazing movie about actors and their vanity. It's about how we all search for some form of redemption that we can find in ourselves if we only look hard enough. And with its "one take" trick, it's a blast just to watch. Whiplash: This movie rolled and snared its way into my brain, tapping into my nervous system like few other films have recently. The mind games it plays are nefarious, maddening, and richly satisfying. 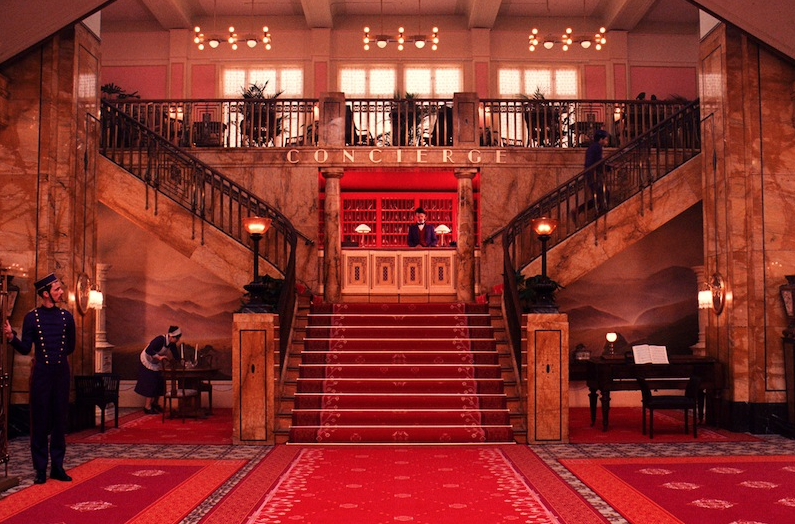 The Grand Budapest Hotel: Beneath the candy-colored sets and the shifting aspect ratios lies an emotional resonance that tells us the past wasn't always as good as we think it was - even while there's something to be said for nostalgia. Life Itself: Roger Ebert once said that the movies are like a giant empathy machine, and one of the main flaws in the world today is that too few people have it. That's the lesson that America's greatest critic left behind in the movie of his life. A Most Violent Year: It reminded me of nothing less than The Godfather II. That's pretty good company. Captain America: The Winter Soldier: Yes, in the top 10. It's right up there with the 70s paranoid thrillers (Three Days of the Condor, The Parallax View) on which this movie modeled itself. I'm willing to bet that if this movie didn't have any spandex or visual effects showcases, it might have made more 10 best lists. Snowpierecer: Chris Evans again, in more of a reluctant hero mode in one of the wilder visual allegories I've ever seen: Civilization is not only on a train, it IS the train. American Sniper: Like The Hurt Locker, but better. And this HAD to resonate with me, consdering my brother is an American sniper. Chef: Nice to see Jon Favreau go back to his small-film roots. You'd better eat before seeing this, of you'll be munching on furniture. Citizenfour: Seeing footage of Edward Snowden when he made his revelations is nothing less than astounding. Gone Girl: Those who treat this strictly as a whodunit miss the point. It gives new meaning to the phrase, "You deserve each other." Ida: The Holocaust seen at its most personal roots, with haunting black and white photography. The Imitation Game: A too little-known story only serves as the bedrock for the kind of device I'm using to type this list, to say nothing of the millions of lives saved. Inherent Vice: Paul Thomas Anderson's stoned detective comedy might be his loopiest film. It's the kind of unique ride that only he can drive. 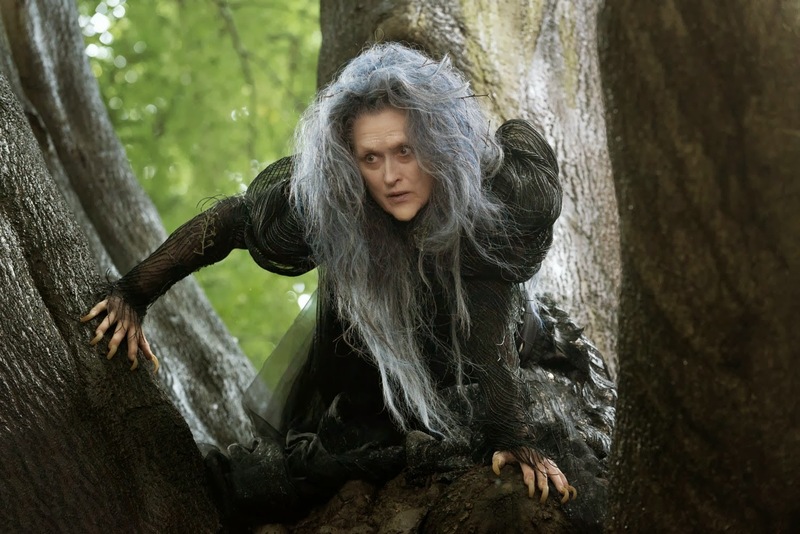 Into the Woods: Best cast of the year, and simply flat-out entertaining. Locke: Can you base an entire film around one man's journey that shows nothing but him behind the wheel of a car? You can if it's Tom Hardy. Nightcrawler: In the news business, they say "If it bleeds, it leads." Jake Gyllenhaal twists that around into something truly macabre. Selma: Like "Lincoln" before it, this movie decides not to focus not an entire life story, but a key chapter of it - and in so doing, gives us more than the essence of the man at its center. Last time on Sir Critic's Oscar predictions, I forecasted the techs. Today, on a very special Sir Critic, I move up the latter to ... well, to all the others. I've bunched three of the four acting categories together because three of the four are all but slam dunks. If Arquette, Moore and Simmons don't win their categories, the stock of oxygen tank manufacturers will rise sharply. WILL WIN: This is a very, very, very close race between Keaton and Redmaye. Redmayne won the SAG, Keaton is a respected veteran making a hell of a comeback. But I tip to Redmayne, because his is the sort of showy, transformative performance that often wins. WILL/SHOULD WIN: Like the Toy Story sequels, Dragon 2 doesn't just repeat a successful formula but expands and enriches the story. Big Hero 6 could win here too, but Dragon has a stronger emotional core. WILL/SHOULD WIN: Whiplash - partly because goofy Academy rules cheated it and called it adapted when it was really original. And partly because it plays mind games that dance inside your head for days. Could win: Imitation Game is the only real threat, and I don't sense enough passion behind it. As well done as it is, it's almost too traditional. Whiplash is much more daring. WILL WIN: This is a tight three-way race, but I believe Grand Budapest comes out ahead here because this category has a history of awarding the auteur who probably won't win the Best Director Prize. COULD WIN: Birdman or Boyhood could easily take it. This one's a tough call. SHOULD WIN: Boyhood. If you believe it's only real trick is in how it was assembled, you aren't paying attention. WILL WIN: CitzenFour's footage of Edward Snowden, just after he opened Pandora's box of secrets, is just too startling to be ignored. WILL WIN: I'm handicapped on the shorts this year, having only seen the Animated block. So when in doubt, go with HBO. That's Crisis Hotline. WILL WIN: The film with other nominations tends to win. Ida. WILL WIN: "The Bigger Picture" seems to be getting most of the attention, though it was actually my least favorite of the batch. SHOULD WIN: The charming, poignant, "Dam Keeper," about an unlikely friendship between a pig and a fox. SHOULD WIN: Toss-up. The Phone Call, if only because it has recognizable faces in former winner/nominee Jim Broadbent and Sally Hawkins. WILL WIN: This is a race between the auteur who pulled off a hell of a visual stunt (Inarritu) and the auteur who pulled off a one-of-a-kind filmmaking feat. The directing category tends toward the strongly visual, e.g. Gravity and Life of Pi. So it shall be with Birdman. WILL/SHOULD WIN: This is a race between the auteur who pulled off a hell of a visual stunt (Inarritu) and the auteur who pulled off a one-of-a-kind filmmaking feat. But when it comes to the battle between the head and the heart, the heart tends to win. (See The King's Speech vs. The Social Network). Boyhood is all heart. We'll kick off the predictions this year by doing the limbo and going below the line with the craft categories. And this year, I'll list the dark horse if I think there is one. That way, I look a lot more savvy than I actually am. This is a frighteningly easy call. Birdman's "One-take" camerawork dominated ever since it was first seen. Perennial beloved nominee Deakins will just have to keep waiting. There's a reason I lumped Costume and Production Design together. 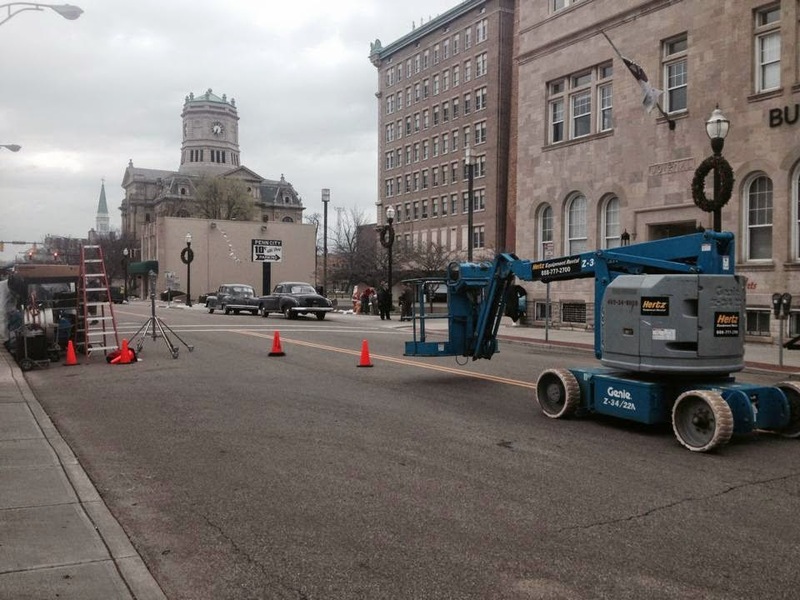 Grand Budapest Hotel is easily going to win both. Wes Anderson's movies are always designed to the Nth degre, and Budapest boasts some of the most intricate designs of all. This one is a fairly close race between Whiplash and Boyhood. Boyhood's elegant weaving of a 12-year story filmed piecemeal is truly impressive for the way it shows the passage of time without any obvious signposts. But when in doubt, go the Best Picture nominee with the most visible editing: That's Whiplash, which so expertly builds tension that watching the movie jangles the nerves, even without J.K. Simmons' formidable presence. SHOULD WIN/DARK HORSE: Guardians of the Galaxy. This award often goes to the Most Makeup, which would be Guardians of the Galaxy. On the other hand, that didn't exactly help the Hobbit and Harry Potter films when they made this race. So I'm betting Budapest gets this win to go along with its Set and Costume Awards. Again, designed to the Nth degree. Conventional wisdom may have it that the prolific Desplat will finally get his due, but lush and melodramatic often tends to win the day here. That's Theory of Everything. It's not inconceivable that Everything is Awesome could win here, since many people were aghast that The LEGO Movie didn't score an animated film nomination. And it IS the best use of a song within the actual movie. (I grow weary of slapping a song on the end credits and having that be the nominee, as is the case with Selma's admittedly stirring song.) But since Selma missed out on a lot of big nominations, and because Glory has picked up some precursor awards, that wins. WILL WIN: American Sniper takes both of these, as war films often do. Helps that the film is a tremendous hit. I imagine most voters will look at their ballots and say, "Sound? American Sniper for both." SHOULD WIN: Interstellar. I don't buy into the line of a muddled mix drowning out the dialogue. I thought it was an artful mix that amplified the emotions of the scene, and sometimes that entails disorientation and not being quite sure of what you heard. WILL/SHOULD WIN: Interstellar is a movie that has gone severely underappreciated in its time - but not when it comes to its effects. A lot of sites have listed the most anticipated films of 2015, but honestly, their list doesn't usually match my own. It's a lot of the usual suspects. Avengers, Star Wars, Hunger Games, etc. I'm looking forward to those too, but I usually prefer to go off the beaten path. So I present my list of 12 films I'm most looking forward to seeing, roughly in order of release. The Last Five Years: I'm a big fan of Anna Kendrick and her musical chops. I loved Into the Woods, and that's just the first of three musical films she has in the can. Most people know that the Pitch Perfect sequel comes out in May, and I'm all over that too, but I'm even more intrigued by this adaptation of the Jason Robert Brown musical, co-starring Jeremy Jordan. (Feb. 13). Inside Out - Summer offers its greatest one-two punch with Jurassic World one week, and the film I believe will be Pixar's creative comeback on June 19. The Walk: Robert Zemeckis has long been the master of photo-realistic visual effects. With this film, chronicling the incredible tightrope walk between the Twin Towers, he may have accomplished his most impressive feat yet. 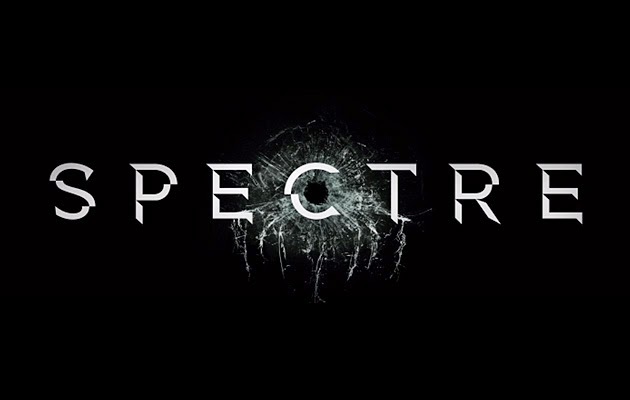 Spectre: Skyfall was the best Bond movie in EONs. (Bond fans will see what I did there.) The follow-up, also directed by Sam Mendes, is probably THE film I'm most looking forward to seeing in 2015.